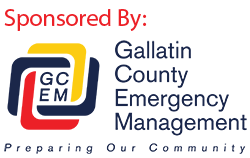 Wednesday at about 10:34 PM, the Gallatin County 911 received a call from an adult male who said he and his girlfriend had been hiking the Beehive Basin trail to the lake. When they came back they decided to take a shorter route but got turned around and didn’t know where to go. After getting their story, they also gave GPS coordinates from their phone. A Sheriff’s Deputy and the Big Sky section of Sheriff’s Search and Rescue were activated. Rescuers responded to the GPS coordinates given by the lost party and were able to locate them a short time later. The rescuers then led the two lost individuals back to where we were staged and waiting. Sheriff Gootkin would like to remind everyone going out to recreate in the backcountry that it is good to have maps of the area in case you are turned around and get lost.